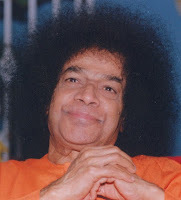 Bhagawan has spoken extensively on the great epic of Ramayana and on the life and message of Lord Rama. A book by name “Ramakatha Rasa Vahini” has been penned by Him, which literally is a flow (Vahini) of the nectarine essence (Rasa) of the life of Lord Rama. 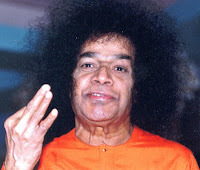 Several insights and subtle nuances that are rarely found and in some cases not revealed so far, in the different versions of Ramayana are explained by Bhagawan Baba in great detail. His central focus has always been on the eternal values and teachings of Sanatana Dharma and the contemporary relevance of the epic to our daily lives. His Discourses on the Ramayana are like a vast ocean! This post is a humble attempt to present a few pearls from this ocean for our benefit and for inculcation of the message in our lives. 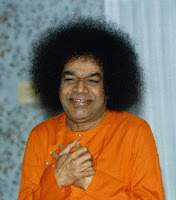 There are 16 excerpts from Bhagawan’s Discourses presented in this posting. 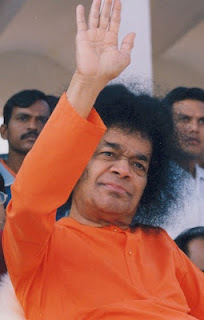 These have been selected from Discourses given by Bhagawan Baba in the years 1988, 1996, 1997, 1999, 2001, 2002 and 2003. In Clips 1 and 2, Bhagawan explains that Ramayana is truly “Rama” + “Ayana” – the path of Rama and the true purpose of Ramayana is to install the path laid down by Rama in our hearts. Clip 3 explains how the Divine power of attraction is inherent in every human being while Clip 4 highlights that the Ramayana is verily the Vedas come down to the earth. Clips 5, 6 and 7 focus on the charcater of Lakshmana. Bhagawan explains how Lakshmana was the ideal brother and praises his keen sense of intellect. In this context Bhagawan narrates a very humorous and joyful episode that took place during the wedding of Rama and Sita. Clip 7 demonstrates the love between Ram and Lakshmana. 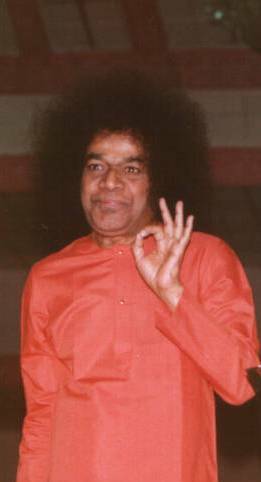 In Clip 8, Bhagawan describes the love between Rama and Bharatha. Clip 9 is about ideal governanace. It explains how unlike modern day, King Dasaratha was ready to give up his kingdom the moment he discovered that he was getting old. Clips 10 and 11 focus on the Moral and Dharmic stature of Rama, illustrating His greatness through various anecdotes. It shows how Rama expounded Dharma appropriate to the time and the circumstances. 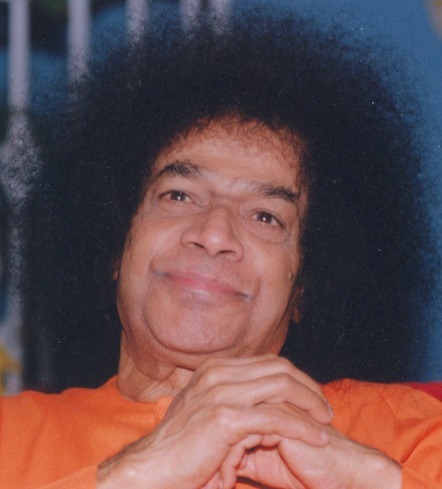 In Clip 12, Bhagawan highlights the greatness of Sumitra, the mother of Lakshmana; while in Clip 13, Bhagawan draws our attention to the nobility and greatness of Urmila, the wife of Lakshmana. Clip 14 differentiates between Rama and Ravana and explains how both Rama and Ravana are truly within us. What we become depends on what we adhere to. Clip 15 describes Lava and Kusha (the two sons of Rama) as the ideal messengers of God, who went about spreading the glory of Rama, without any apprehension or shyness. This post ends with Clip 16, wherein Bhagawan appeals to all of us to experience Rama within our own heart! The sacred Ramayana story illustrates the greatness and sacredness of Bharateeya culture. This epic is called the Ramayana. The Ramayana is not merely a story of Rama. Rama + Ayanam is Ramayanam. “Ayanam” means “The Path”. The inner meaning of Ramayana is that the path shown by Rama should be followed. The life stories of Rama and Krishna are indeed treatises on righteousness. They are sacred scriptures. They teach mankind how to sublimate human life. The need of the hour today is for a man to live like a true human being. Without humanity, a man cannot be truly called a man. The message is clear: adhering to Truth, practising Righteousness, spreading Love everywhere, remaining ever peaceful, life should be sanctified. This day should not be celebrated merely as the anniversary of Rama's birth or His advent. The day we manifest in our hearts the Rama Bhaava (Feeling of Rama), that day is the real birthday of Rama. Celebrating of holy days should not mean just having a good feast on those days. We should seek to make the teachings of the Avatars concerned, a part of our lives. We must obey their command. We should follow the path laid down by them. Only then, the story or the epic has any meaning. Our lives also get sanctified. All studies of the Vedas and Shastras, recitations, and listening to discourses are of no value, if practice does not follow precept. God does not exist separately in this world. The entire world is the very form of God. However getting deluded by their attachment to the physical body that is merely an instrument; humans are considering themselves to be merely men and are forgetting their Divinity. We consider Rama and Krishna to be Avataars. No, all are mere human beings only. We are all verily, forms of the Divine. We must recognize this feeling today and must develop faith in it. We must give up the feeling that God exists separately from us. We have to develop the faith that God is not different from us. On the occasion of Ramanavami, people hail the advent of Rama and recall his various achievements of establishing Dharma on earth. No, no. Everyone should remember that he is himself an image of Rama. 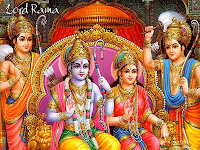 The meaning of Rama is “Ramayathi Ithi Ramah” (One who attracts others is Rama). In every person there is this power of attraction. Rame Raame Manorame (Rama is the power of attraction in the mind). Every man has got this power of attraction or the magnetic power. Because of this magnetic power man is able to experience this world. He develops many worldly desires and fulfils them. But he is never satisfied. He derives satisfaction from discontent. That is a sign of the divine power of attraction. There is no limit to this power. Everyone can experience and manifest this Divinity within him. The sacred epic Ramayana is verily the Vedas descended from heaven to earth. 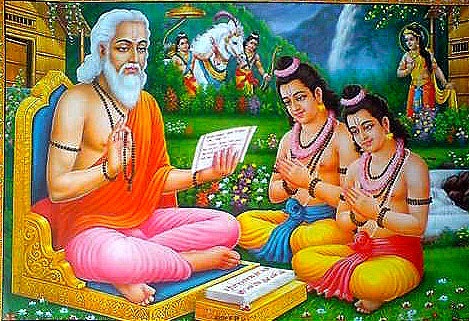 The Vedas are classified into four: Rig Veda, Yajur Veda, Sama Veda, and Atharvana Veda. The Rig Veda helps, sustains and protects the Yajnas and Yagas. In the epic of Ramayana, Rama symbolises the Rig Veda. Lakshmana signifies Yajur Veda, which contains mantras that are nurtured, protected and chanted during the performance of Yajnas and Yagas. When Rama was away in the forest, Bharata left Ayodhya and stayed in Nandigrama; singing His Divine Name day in and day out. Hence, he symbolises Sama Veda. To secure the Rig, Yajur and Sama Vedas, being obedient to his brothers, Shatrughna joyfully played the role of protecting them. He stands for the Atharvana Veda. The essence of Atharvana Veda lies in destroying the wrong, wicked, bad actions and evil company; and in fostering sacred acts, good conduct and good virtues. Shatrughna was born to destroy the enemies and protect the friends and the pious people. The Ramayana is verily the Veda. The Veda is not different from the Ramayana. True humanness lies in understanding this. Every notable character in Ramayana stands out as an ideal for the world. All of them are embodiments of Dharma and sacred masters. Consider the example of Lakshmana. Valmiki has described Lakshmana in many ways. He has called him “Rama's other self”. 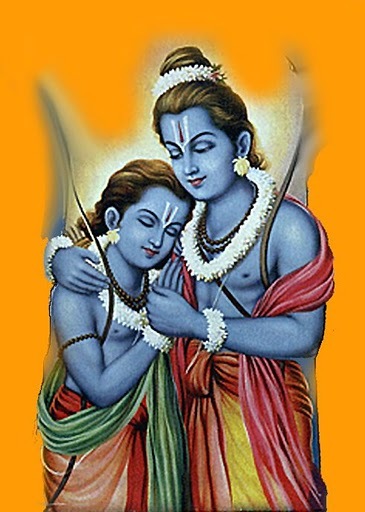 In the Kamba Ramayana, Lakshmana is described as the “second virtue of Rama”. Tulasidas characterises Lakshmana as “Rama's right hand”. Rama and Lakshmana were associated inseparably as “Bimba and Pratimba” i.e. one was just the reflection of the other. In his great quality, his immaculate purity and spirit of sacrifice, Lakshmana is his own example. In accordance with his father's commandment, Rama had to go to the forest. Lakshmana was under no such compulsion. 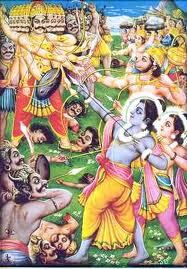 Making the supreme sacrifice of his own accord, he elected to accompany Rama. Ayanam (Rama's path) was the apple of his nayanam (eye). Hence Lakshmana had a key role in Ramayana (Rama Ayana – The path of Rama). Leaving his mother, forsaking his wife and rejecting royal pleasures, Lakshmana sacrificed everything and chose to follow Rama as the be-all and the end-all of his life. He considered Rama as his father, friend and brother. By his sterling quality and exemplary character, Lakshmana stands out as an ideal to the world. In the forest while Rama and Lakshmana were going in search of Sita, they came to the Rishyamooka mountain. There they made friends with Sugriva and Hanuman. A bag containing ornaments was given to Rama by Sugriva, who told Rama that the bag was dropped by a woman who was going in an aerial chariot. When the bundle was opened, Rama could not identify any of the ornaments. Rama handed the ornaments to Lakshmana and asked him whether he could identify any of Sita's ornaments amongst them. Lakshmana said: “Naaham Jaanaami Keyure - I cannot recognise these bangles. Naaham Jaanaami Kundale - I cannot recognise these earrings too. Noopuretvadi Jaanaami - I can recognise only the anklets among these jewels as the ones belonging to Mother Sita. Nityam Paadabhi Vandanaat - I can recognise them because everyday, when I prostrate at her feet, I see these anklets. In all these years, not even one day did Lakshmana see Mother Sita’s face. We can never find such a noble and virtous character in any story. He considered all women as his mother. Seizing the opportunity, Sita immediately garlanded Rama! First the eldest son (of Dasaratha) must be married. Sita the daughter of king Janaka was born from the mother earth. As a baby, she was, discovered while ploughing the land. Urmilla was the eldest daughter of king Janaka. Both the daughters, Sita and Urmilla were presented as brides for Rama and Lakshmana respectively. On the following day, Bharatha and Shatrughna also came there. Looking at all four of them, Dasaratha was feeling very happy within and considered himself to be very lucky. Mandavi and Shrutakeerti were the daughters of Kushadhwaja, the younger brother of king Janaka. It was a perfect match between the four sons (of Dasaratha) and the four daughters (of Janaka and Kushadwaja). During the wedding, the garlanding had to take place. 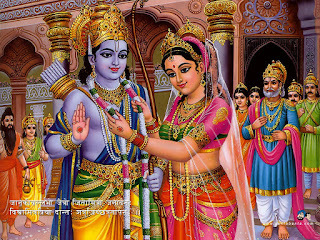 Rama garlanded Sita. But Sita being short in stature could not do so as Rama was Aajaanubahu (tall personality). Rama was expected to bend His head before Sita so that she could garland Him. However, He would not do so, lest people should say that Rama, one of valour, the one who broke the bow of Shiva, bowed His head before such a large assembly. The masculine quality manifested even then. Bowing the head is not the Dharma of a king. That too, bowing the head in front of a woman, in such a large gathering, is even more embarrassing and shameful. Rama stood erect. Sita was making every effort to garland Rama. She had no idea where Rama’s head was and so she had no clue how to garland Him. Women in those days did not look into the face of men. Hence, Sita was looking down holding the garland in her hand. But there was no way she could reach out to garland Him. Rama softly and in a tender way signalled to Lakshmana, indicating that he had to use his knack to resolve this issue. (Lakshmana was the incarnation of Adisesha who carried mother earth on his hood. Rama looked at Lakshmana as if to say, “Look, why don’t you raise that part of earth where Sita is standing, to enable her to garland Me.” Then Lakshmana indicated to Rama that it was not possible to raise any particular area.) If Lakshmana would try to raise that part of the earth where Sita was standing, simultaneously Rama would be raised and so also the others. The onlookers became anxious and were wondering as to why Rama was not bending His head so as to enable Sita to garland him. Lakshmana, being one of intelligence, thought of a plan to solve the problem. All of a sudden, he fell at the feet of Rama and did not get up for a long time. Rama waited for a while and then bent down to pick up Lakshmana. Seizing this opportunity, Sita immediately garlanded Rama. This is the intelligence of Lakshmana. Tyagaraja also said: “Kapivaaradi Daatunaa (will the monkey be able to cross the ocean? ), Kalikirota Gattunaa (is it possible to bind him?) Lakshmanundu Valachunaa (will Lakshmana serve Him? ), Lakshmi Devi Kolachunaa (will His consort Lakshmi love Him? ), Sookshma Buddhigala Bharatudu Choochi Choochi Mrakkunaa (will the intelligent Bharatha bow to Him? ), Appa Rama Bhakti Ento Goppa Ra! (the power of Rama is so mighty, so great!). This is the power of intense devotion. No one has discovered it. During the war in Lanka, when Lakshmana fell unconscious in the battlefield, Rama was crestfallen. He considered Lakshmana as His very life. He lamented saying, “If I were to search in the world, I may get a mother like Kausalya and a wife like Sita, but not a brother as noble as Lakshmana. What is the use of this life without Lakshmana?” The four brothers had such unity, harmony, joy and love among themselves. Rama lived an ideal life. He respected His parents and followed their command. He was never concerned about any difficulties or loss. He lived harmoniously with His brothers. He had great love for them. There was no conflict whatsoever among them. The entire family was united. Bharatha lost for a moment the sense of respect he should have for the word of the preceptor. Rama was the very life-breath of Bharatha. He spoke to Vashishtha in great anguish, “Am I to rule over a kingdom which banished Rama and plunged the whole of Ayodhya in grief? Do not mention the name of the kingdom that sent my Rama to the forest. I have no use for such a kingdom tarnished by a grievous wrong.” This was the kind of love that existed between the brothers. Once, when the brothers were children and were playing, Rama came running to his mother Kausalya and sat on her lap in great joy. Kausalya asked him what was the reason for his joy. Rama said, “Mother, I am immensely happy today because Bharatha won in the game that we were playing.” Rama rejoiced in the success of his brothers. As this conversation was going on, Bharatha came weeping to Kausalya. She asked him, “Bharatha! Why are you crying? Rama is so happy over your victory.” Bharatha replied, “Mother! I am very sad because Rama deliberately chose to lose so that I may win.” The elder brother rejoices over the younger brother’s victory. The latter feels sad about his victory and the defeat of the elder brother. What mutual love prevailed among the brothers! Such was the pure and sacred unity that existed among the brothers at that time. The respect that the parents commanded was also so high. In the story of Rama many great ideals shine forth. Here is one episode: Dasaratha was sleeping in his palace. He had a dream. In that dream he saw that the whole ocean had dried up, the moon was falling and breaking into myriad pieces, an elephant in rut was tumbling down and collapsing with the howdah on its back falling apart. He woke up with a start and wondered “What is this strange dream?” “It is said that a dream in the early hours of the morning portends what is to happen. It is now the fourth quarter of the night. What does this dream portend?” thought Dasaratha. He got up from his bed. He stood before a mirror. He noticed a bizarre change in his face. He saw grey hairs stretching out between his two ears. He realised that old age was creeping on him. He tried to drink a glass of water by pouring water from a jug into a glass. He noticed that his hand was trembling. He could see that his sense organs were beginning to fail. He felt that he could carry on his reign as long as his senses were perfect. But now they were declining. One can rule a kingdom only so long as his senses are strong. He went out and summoned all his ministers and the preceptor. He told them, “I have reigned for as long as I could. I sought always to please my subjects in every way. I looked after their welfare as that of my own children. This kind of feeling is possessed only by Rama. The time is appropriate to install Rama as the heir to the throne.” The subjects and ministers present suggested that the king was fit to continue to rule for some more time. Dasaratha felt that perhaps they were not in favour of Rama's coronation as the king. They submitted to the king, “Mahaaraaja! We are well aware of Rama's greatness and sterling qualities. But he still does not have the experience that you have in the art of administration. You may install him as Yuvaraaja (Crown Prince), but you continue as the king and give him guidance.” Dasaratha told them that when his senses had begun to weaken, it was not proper for him to continue as the king. Today let alone the senses, even if the eyes cannot see, the ears cannot hear, the hand cannot put a signature; people want to cling on to their kingdom. The kingdom in ancient times was one of Dharma, one of Neeti (Morality) and one of Nijaayati (Integrity). Today, morality is on the decline among human beings. Narrow mindedness is on the rise. Divinity is forgotten. Demonic nature is nurtured. This is not what we need to do. We must forget demonic qualities and hold on to Divinity. How sacred is the principle of Rama. When Rama was prepared to be coronated as the king, the very next moment, He went into the forest on exile, with the same smile on His face. Sukhadukhe Samekruthva Labhalabhau Jayajayau (Equal mindedness amidst the dualities of life - pain and pleasure, victory and defeat, gain and loss). Rama displayed this virtue of equanimity. Rama experienced the same happiness in going to the forest, as He enjoyed in getting prepared to be the king. Where is this virtue of equanimity in man today? Man aspires for positions of authority though he does not deserve them. An undeserving person expects deservedness. But Rama relinquished the position even though He deserved it. Rama was courageous in the face of adversities. He never gave any scope for weakness. The one who is in the company of Rama will always be a Dheera (courageous one), and not a Deena (weak-minded one). Rama propagated the principle of “Vyakti Dharma” (individual Dharma). 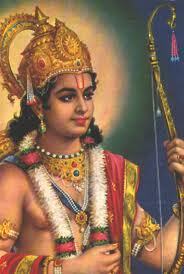 In adherence to the command of His father, Rama went on exile to the forest and suffered a lot. But He never considered this as suffering. He truly upheld the Dharma of the family. He demonstrated to the entire world that any member of the Ikshavaaku clan, based on his family Dharma, would never go back on the given word. The social aspect of the Ramayana highlights that under any circumstances; one must respect one’s parents, wife and children and bring repute to ones brothers. How did Rama protect the family in the given circumstances? Wearing bark clothes, He came to Kausalya to take leave of her. Kausalya was astonished at the attire of Rama, who was about to be crowned as the emperor. Smilingly Rama told Kausalya, “Today I have been commanded by My father to become the ruler of the forests. To rule the forests is also part of our family tradition.” As this conversation was in progress, Lakshmana arrived there in a furious state. He said, “Mother, this is not what happened. Father, compelled by the words of Kaikeyi, has fallen victim to this evil path.” Lakshmana narrated all that had happened. 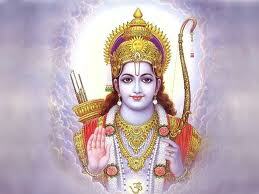 He said, “I am only waiting for Rama’s command. Let Him just give me permission. I will go immediately and destroy Manthara and Kaikeyi and restore Rama as the king. I am not going to be constrained even by the words of my father”. Rama was pleased that Sita understood her duty well and even contradicted Him! One has to be tactful to follow the Dharma according to the time and situation. Rama thus promoted such Dharma by protecting His own family Dharma and upholding the honour of the family. When Lakshmana used abusive words against Kaikeyi, Rama advised him, “Lakshmana, Kaikeyi is not My step-mother, she is like my own mother. I indeed love Kaikeyi much more than My own mother. Kaikeyi too loves Me even more than Bharata. Such a mother should not be abused like this. Maatru Devo Bhavaa, Pitru Devo Bhavaa (revere the mother and father as God). I am obeying the words of My father implicitly. I respect all My mothers. This is our family tradition.” In this manner Rama expounded Dharma appropriate to the time and circumstances. Will any mother speak in such a manner? She could have argued, “As per the boon granted to Kaikeyi, only Rama is supposed to go to the forest. You don’t need to go with Him.” Any other mother would have stopped him from going to the forest. But Sumitra, a noble woman, had all the virtues of an ideal mother. Urmila's broad-mindedness and utter selflessness moved Lakshmana to tears. Then Lakshmana, as he would be away for 14 long years, went to his wife Urmila to inform her about his decision to go with Rama. Urmila, the first daughter of king Janaka, was highly virtuous. Her spirit of sacrifice and generosity was unparalleled. Being unaware of the happenings, she was painting a picture of Rama’s coronation ceremony that was to be held the next day. She was painting the close relationship that existed between Rama and Sita and she wanted to send it to her father Janaka. As she was deeply engrossed in her work, all of a sudden Lakshmana entered and called her in a raised voice, “Urmila!”. She was startled and at once stood up. As she got up in a hurry, she accidentally spilled the paint on the picture she was painting. She felt sad for having spoiled the picture. Her broad-mindedness and utter selflessness moved Lakshmana to tears. He praised her, saying, “Urmila, I never knew that you were so broad-minded. I will always treasure your broad-mindedness in my heart.” Urmila said, “Don’t think of my broad-mindedness too. 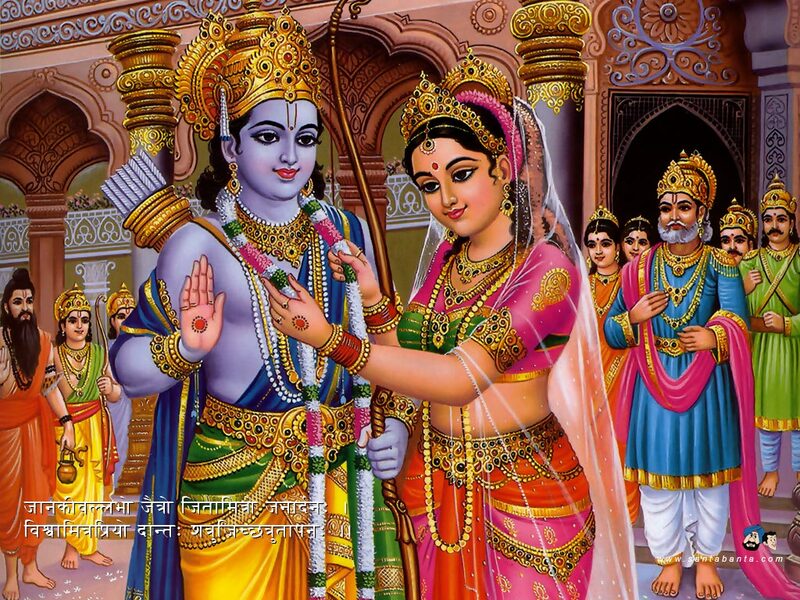 Think of the broad-mindedness of Sita and and obey the command of Rama. See to it that they are never put to any inconvenience.” It is impossible to find anywhere such examples as those demonstrated by the Motherhood of Sumitra and the virtuous quality of Urmila. See the difference between Rama and Ravana. Both were equally eminent intellectually and were great scholars. Ravana was a great man. Rama was a good man. The difference between greatness and goodness should be understood. Rama is good, whereas Ravana is great. How is he great? Ravana had lot of worldly and physical powers. He was very well educated. However, he could not assimilate all that he had learned. Therefore, Ravana suffered from the disease of indigestion in the form of egoism and attachment. Therefore, though he was great, he fell victim to this disease. Rama is good. He put His knowledge into practice, experienced it, shared it with the people and experienced joy. He digested His knowledge. With assimilation alone comes strength and satisfaction. It is not enough if we just learn. Only when we put it into practice and digest it, we gain strength. Only if the food is digested, the body will get strength. Only when we practice all that we have learned, we will get peace and security. 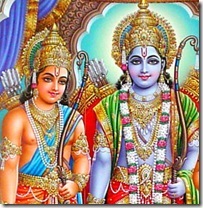 Sathya (truth) and Dharma (righteousness) were dear to Rama. He loved to practice them. Ravana liked only Asatyam (falsehood) and Adharma. Sathya and Dharma became the life breath of Rama, whereas, Asathya and Adharma became the life breath of Ravana. Ravana was a victim of desires. Rama was bereft of desires. The difference between Rama and Ravana was that between Dharma (righteousness) and Adharma (unrighteousness). Where is Rama and where is Ravana? We are verily Rama and we are verily Ravana. When a person takes to falsehood and unrighteous courses, he becomes a Ravana. When people pursue the path of truth and righteousness, and contemplate on Divinity, they become Rama. When Lava and Kusha went about singing the glories of Rama they had no nervousness or apprehension. Today, in the modern age, if young people have to sing among many people, they feel very shy. Young persons hesitate to put on any auspicious marks on the forehead when they visit temples and do not venture to fold their palms in reverence. On the contrary, Lava and Kusha forgot all bodily consciousness and sang from their hearts the glory of Rama. They thus taught a very great message to the youth of today. There is nothing greater than chanting the name of the Lord. Ears of people are eager to listen to gossip. But the ears are deaf to the sweet names of God. But your eyes find it hard to look at God in the sanctum. What for are the eyes given? What for do you have ears? You should remember God's name, hear God’s name and go to the abode of God. In this manner Lava and Kusha went about glorifying the greatness of Rama joyously without any apprehension or shyness. 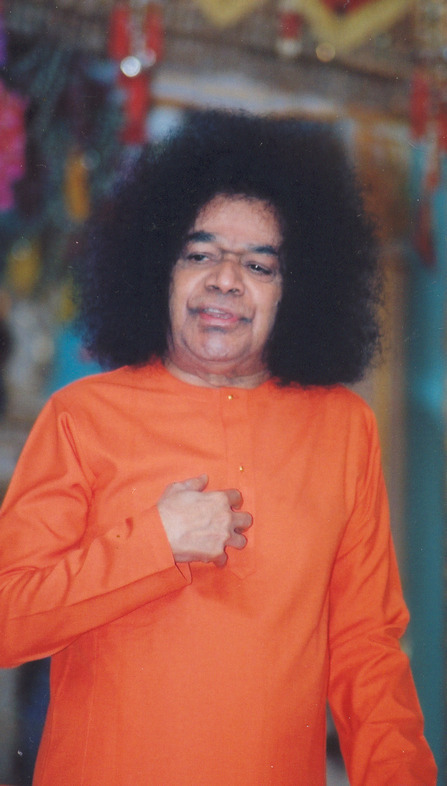 Today's youth should take a resolve to spread the love of God among the people without any hesitation or ego. They should make every man realise the sweetness of the Lord's name, the divinity enshrined in remembering the name, and the purity associated with thinking of Him. These feelings should emanate from the heart. That is true naamasmarana (reciting the Lord's name). Such a sacred scripture that can delight one to such an extent cannot be found in any other country or in any other language. Any number of years have passed by, but still, even today, everybody thinks of Rama. In Bhaarath, there is no place where Rama’s name is not chanted and there is no hand that does not practice Daanam (charity). Even in the tiniest hamlet there will be a small Rama temple. But these temples are not so very important. The temple in which Rama should be worshipped is your heart. God is the Hridayavaasi (indweller of the heart). He does not reside in Tirupati or Bhadrachalam. He is neither in Vaikunta nor in Kailaasa. They are all only branch offices. But the Head office is the heart alone. God resides in the heart of man. Therefore, you need not go anywhere or travel anywhere to seek Rama. Without going out anywhere, without incurring any expense, you can experience Rama in your heart and achieve liberation. Today, on Shri Raamanavami Day, in spite of the good fortune of being born in the Raama Janmabhoomi (sacred birth place of Rama), we are not recognising the Rama Principle. There is nothing great about celebrating the birthdays of great persons. You must put into practice the teachings of those great masters. What is the use in celebrating birthdays and ignoring the teachings? Practice is the touchstone of devotion. 01-What is the meaning of Ramayana? 02-What is the true purpose of Ramayana? 03-What is the meaning of the phrase “Ramayathi Ithi Ramah”? 04-Explain the relationship that exists between Ramayana and the Vedas? 05-Why could Lakshmana not identify any ornaments of Mother Sita other than her anklets? What is the lesson that we learn from this anecdote? 06-How did the intelligent Lakshmana save Rama from the embarrassment of bowing down in front of Sita, during the wedding ceremony? 07-Illustrate with examples, the love that existed between Rama and Lakshmana and also between Rama and Bharatha. 08-What ideal example of governance does King Dasaratha set before the world? 09-Illustrate how Rama upheld Dharma in various situations and circumstances in a perfect manner. 10-Illustrate the greatness of Mother Sumitra and wife Urmila, by presenting the advice given by them to Lakshmana before he went to the forest along with brother Rama. 11-Explain the difference between greatness and goodness by giving the examples of Ravana and Rama, according to Bhagawan. 12-What is the example that Lava and Kusha have set for the youth today, according to Bhagawan?